Head detail of specimen from the German aquarium trade. maculata: from the Latin maculatus, meaning ‘stained, spotted’, in reference to this species’ colour pattern. 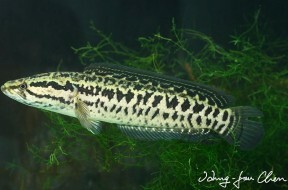 This species is widely-distributed in Pacific coastal drainages of southeastern China (e.g. the Yangtze, Minjiang, Hangjiang River, and Pearl (Nanjiujiang) rivers), including Hainan island and Hong Kong, and is also native to Vietnam (northern provinces to Quang Binh province). No type locality was provided in the original description although the specimens were most likely collected in the vicinity of Guangzhou, Guangdong province, People’s Republic of China. C. maculata has been introduced to, and become established in, a number of countries and territories including Japan, Taiwan, the Philippines, Madagascar, and Oahu island in Hawaii. It is an important food fish across much of its native and non-native ranges. Tends to inhabit still or slow-running rivers and backwaters with silty substrates and dense aquatic vegetation. 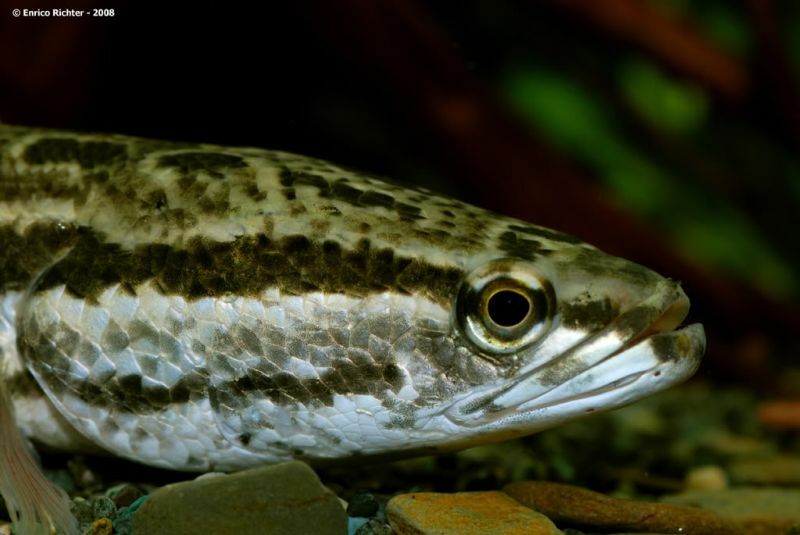 An obligate predator which feeds on invertebrates, amphibians, and smaller fishes in nature but in most cases adapts well to dead alternatives in captivity. Adults do not require food on a daily basis, even during periods of warm temperatures, and should not be offered fatty foods more than once a week. This species is a biparental free spawner. At the peak of courtship the male and female embrace in a similar fashion to anabantoids. No bubble nest is built and several thousand eggs simply float at the surface with both male and female remaining to defend the eggs and fry. It is able to hybridise with the congener C. argus and such crosses appear to be quite common in aquaculture. 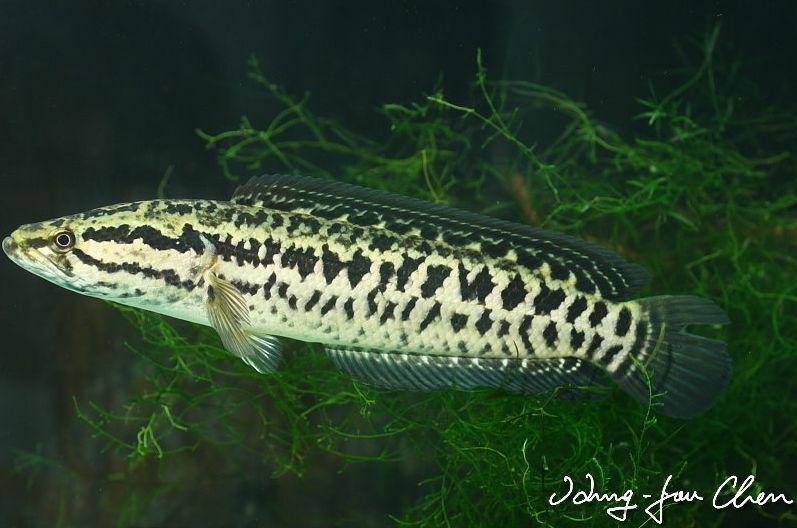 Identity of introduced snakeheads (Pisces, Channidae) in Hawai'i and Madagascar, with comments on ecological concerns.